The three blackbird chicks have fledged this morning. 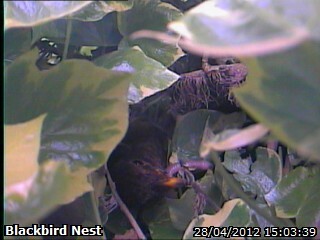 Unfortunately due to the leaves over the camera we weren’t able to catch the fledging on camera. The three chicks have been around the garden being fed by both parents and we managed to get some video which we will upload a bit later.